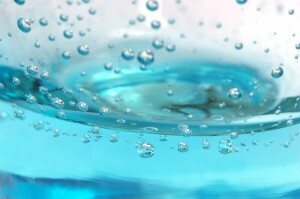 Water enhancers: the next big thing in Australian soft drinks? ‘Water enhancers’ could be the next big trend in soft drinks in Australia, according to the latest findings from market research organisation Euromonitor. Euromonitor’s Soft Drinks in Australia report found that water enhancers, or pocket-sized plastic bottles containing liquid concentrates that can be mixed with water on the go to give it flavour and/or add functional benefits, could have the potential to revive the ailing category of concentrates and support growth of bottled water. Euromonitor International research analyst Emily Cox said that water enhancers had hit mainstream in the US, following Kraft Foods’ launch of Mio in 2011. Kraft Foods’ launch boosted sales in liquid concentrates, with retail value sales jumping by 125 per cent in 2012 after growing by 402 per cent in 2011. The Coca-Cola Company followed suit, launching Dasani Drops in the US in 2012. The new product gained a 4 per cent off-trade volume share of concentrates in 2014. Ms Cox said that Schweppes Australia Pty, owned by Asahi Group Holdings, became the first company to test water enhancers in Australia, “looking to capitalise on the strong growth of the category in the US”. In 2014, the Schweppes launched the new brand Squirt, through its already-established Cottee’s range, and LQD+ as an entirely new brand. “The new brands were launched as a trial in South Australia initially, to be purchased through leading supermarkets and convenience stores,” Ms Cox said. “LQD+, targeted at consumers aged 20-29, is sugar-free and each pack contains 24 drinks with three flavour offerings, Berry, Lemon and Tropical. Cottee’s Squirt is aimed at families, leveraging on the strong position of the established Cottee’s brand,” she said. According to Euromonitor, concentrates recorded the worst performance of the major categories over the review period, declining at a CAGR of 3 per cent in terms of off-trade volume sales. “Consumers turned away from these products due to health and wellness concerns regarding sugar content, strong competition from other categories of soft drinks and lack of innovation,” Ms Cox said. Ms Cox said water enhancers could “resonate well with Australian consumers due to their convenience, unique point of difference, no added sugar and the ability to customise water”. “Water enhancers are also relevant to bottled water, a category registering strong demand due to its healthy positioning; however, such products have a lack of flavour and functional benefits,” Ms Cox said. Given the popularity of sports drinks, with their strong off-trade volume growth of 8 per cent in 2014, Ms Cox said Euromonitor’s findings showed water enhancers with functional benefits could certainly find a market in Australia. “The active lifestyles of today’s consumers are driving demand for sports drinks as they contain electrolytes, carbohydrates and other functional ingredients that are believed to adequately hydrate and replace fluids lost during exercise,” Ms Cox said. “However, Australian consumers are wary about the sugar content of such products,” she said. “There is already a niche market for sugar-free electrolyte tabs for athletic consumers who want to moderate their intake of both sugar and plastic packaging,” Ms Cox said. Ms Cox said there was a “strong opportunity for growth” of water enhancers in Australia over the forecast period, “with these products offering consumers a new and exciting innovation that has a unique point of difference within the soft drinks industry”. Water enhancers are expected to be received positively in Australia, given the success of the products in the US since their launch in 2011. Ms Cox said the products have the potential to reinvigorate sales in the ailing category of concentrates, as well as leverage on growth of bottled water by offering consumers the option to flavour and customise such plain tasting products. Schweppes Australia Pty’s trials of Cottee’s Squirt and LQD+ have so far been limited to South Australia. However, if sales of these brands are successful, Ms Cox said a national launch is expected. “These brands target two separate consumer groups and they are expected to perform well due to their convenience, customisation and the already strong position of Schweppes Australia Pty,” Ms Cox said. Ms Cox said consumers would also be attracted to their value proposition, with LQD+ having an RRP of A$5.00 for 24 flavours of 250ml drinks, equating to approximately 21 cents per drink. “If Schweppes Australia Pty’s water enhancer products prove a success, this will lead to further innovation and product launches from competitors, which will also look to capitalise on this product area,” Ms Cox said. Australia’s leading food charity, Foodbank, has launched its 2016 Food Fight campaign.